Join Hoof 'n' Horn in welcoming the newest Duke class of 2022! The Hoof 'n' Horn Cabaret Troupe will be putting on an orientation show across two nights during O-Week. Come and see numbers from your favorite musicals-old and new-and find out all of the ways you can get involved in the oldest student-run musical theater group in the South! 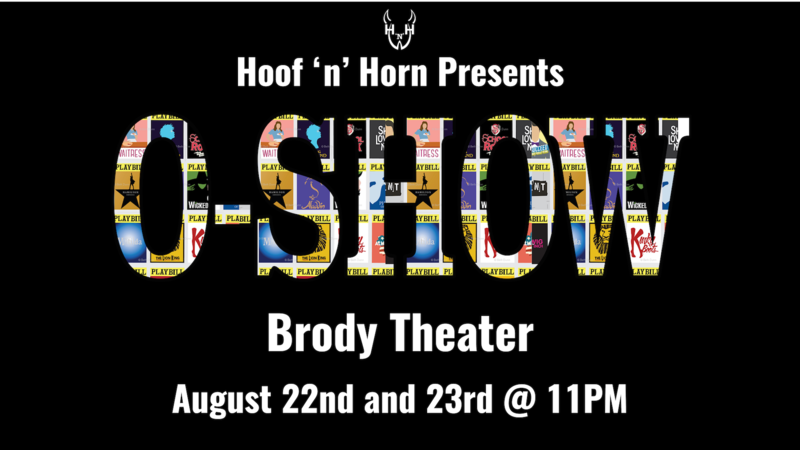 Show dates are Wednesday, August 22nd and Thursday, August 23rd at 11pm in Brody Theater on East Campus.